9 to 3 | Ajay Mathur | OK Listen! 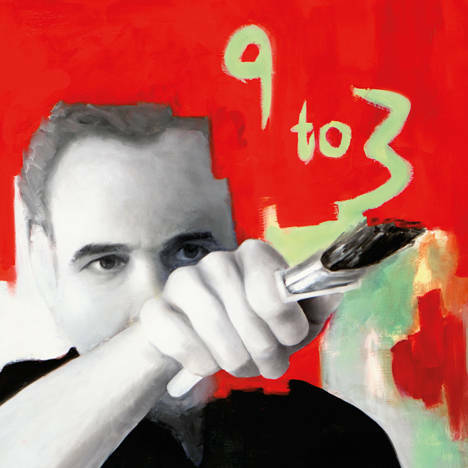 Yakketeeyak Music is proud to announce the release of Ajay Mathur's new album '9 to 3'. India-born and Switzerland based singer-songwriter Ajay Mathur’s music doesn’t fit a particular music genre, as the melodies and lyrics take on a life and style of their own. The new album '9 to 3' follows Ajay Mathur's previous successful releases of ‘A Matter of Time' (2011) and 'Come See Conquer' (2013) which have enjoyed excellent reviews and acknowledgements in the international media, top-rankings on internet radio playlists, chart ranking on Americana (AMA) radio charts, four award-winning singles including 'Communicate' which was a finalist in the 2011 Show Me the Music song-writing contest and 'Easy' as a finalist in the 2012 Unsigned Only Songwriting Competition and over a million fans and listeners worldwide. Mathur celebrated success in his European home of Switzerland with his rock group 'Mainstreet' in the 80s and 90s. The 15 songs on ‘9 to 3’ are humorous, political, romantic and sometimes even cynically narcissistic and all of them are inspired by Mathur's life experience. The combination of instruments is new and sometimes surprisingly unusual: 'Oh Angel', for example, connects east to west with the unique collaboration of guitar, classic harp and Indian sitar. The songs are topped off by real, no-nonsense vocals. Ajay's lyrics are thoughtful and the crown jewel of his songs. '9 to 3' is an eclectic mix ranging from driving Americana tunes like ‘Sitting By Your Cradle’ and ‘Walking On The Water’ to the heartfelt rock ballad ‘Tell Me Why Do I Still Love You'. The album takes a pleasant turn by including the jazz-swing-like melodies of 'All Up To Vanity' and 'Latin Lover'. It doesn't stop there, though, and moves on to the powerful rock anthems ‘View from the Top’, ‘Password Love’ and 'Nothing Really Matters'. The only way to categorize Ajay's twin-tunes 'I Song' and 'I Mantra' is something like 'trancy Bollywood-grunge'.. Each song on ‘9 to 3’ unfolds as a world of its own and promises a unique musical adventure to mature and curious music lovers. It is fair to say that Mathur has coined his own music genre. “The beauty of Mathur is Mathur himself. I believe this man feels every word he sings” wrote Jennifer Hertzler of Gigband recently about Ajay, and was even “a bit bemused as to why someone like Mathur is not yet a household name... … the songs, the musicianship, the production, and the performance all knit together beautifully - even brilliantly. Maybe I’m lucky enough to be in on the ground floor?” With a worldwide following and his continuous successes as an artist, Ajay’s new album ‘9 to 3’ has all the ingredients to take his career to a new level of success. Yakketeeyak Music is focussed on promoting excellent music. That's it. We think that good music deserves to be heard and you deserve to hear it.